We believe there is one God, the Cosmic Bunny, who created everything. We are all part of the Cosmic Bunny and will return to It when we are finished with this life It has given us. The Cosmic Bunny, being a perfect being, is cute, fuzzy, wise, loving, cuddly and forgiving. Because It is the source of all creation, It has no gender (hence the reference to "It" instead of "Him" or "Her"). We all come from the Cosmic Bunny and will return to It and the Eternal Meadow when we are finished with this lifetime. 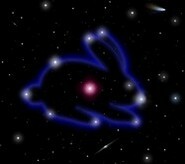 After the creation of the universe, the Cosmic Bunny first created the Bunnies in Its own image. Bunnies were made male and female because of the nature and polarity of existence here in the 3rd dimension. 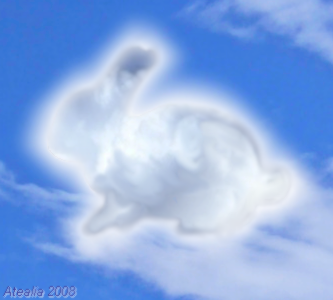 In addition to Bunnies, the Cosmic Bunny created all the other creatures, including humans, that walk, hop, fly or swim upon this planet and many others across the galaxies. Inside each living being It placed a piece of itself, which grew to become the soul or spirit of each of us, which can act of its own accord (i.e. has free will). Some beings (in particular Bunnies, being so close in nature to the original creator) recognized this inside themselves and remained in harmony with the Cosmic Bunny through mind, heart and deed. Others (notably lions, tigers and humans) used their free will to make war on others and kill and eat the Bunnies. The violence they unleashed created a great ripple through the planet's magnetic field, which led to "the fall". Earth's beings "fell" and became trapped in denser matter and bound to a sort of collective karma. Animals began hunting and killing one another and the present system of the food chain was established on Earth. Having given us all free will in addition to this entire beautiful life-sustaining planet, the Cosmic Bunny looked on with sadness, knowing it would be a long time before Its children could return forever to It. Our souls all contain a spark of the Cosmic Bunny. This is our Inner Bunny. No matter what species you are, you have an Inner Bunny. Reconnecting with your Inner Bunny is like digging a tunnel (Bunnies like to dig, you know!) 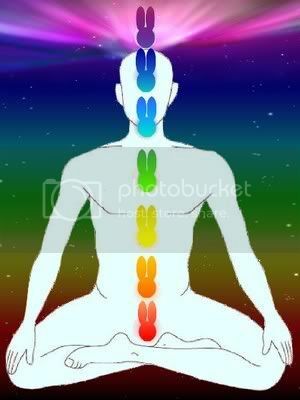 straight back to the energy of the Cosmic Bunny. When you awaken your own Inner Bunny, your mind clears, your purpose is revealed and your heart is lighter. You are walking in the Now and in the realm of pure creation. Eventually we will all learn to merge our consciousness with our own Inner Bunny, thus becoming Bunny Masters (saints, gurus) and living joyfully forever as one, in the Eternal Meadow. A great many Rabbits have achieved this, as well as a smaller number (so far!) of humans. Jesus and Buddha were two. Long, long ago, when man and woman had barely yet set foot in the Garden, just after "the fall", the Cosmic Bunny was (re)revealed to all Rabbits. As evolution took its toll over the millenia and the Rabbits spread out across the Earth, creating their own customs and languages, most Rabbits held on to the original knowledge and knew of their own Inner Bunnies. Most in the world of man, however, found it hard to believe in a loving and forgiving God that would not punish him or crush his enemies, and this kept most humans from accepting the word of the Cosmic Bunny. As the Bunny Religion of the Cosmic Bunny spread out into the world, some wanted to live with the Bunnies and be Bunnies themselves. Foxes, humans, mice, cats and even giraffes and bears found their way to warrens, wanting to hear more. They came to be known as "Fuzzies". Currently we are unsure of the exact number of beings who refer to themselves as as Fuzzies, but it is estimated to be around 393 million (at least 5 million in the human population). Although the Fuzzies may be many, they do not always believe exactly the same way. 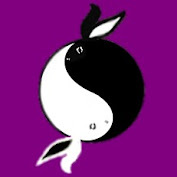 Bunnies are quite free thinkers and are akin to more of a "new age" movement. You will not find strict do-or-be-damned commandments within Bunny Religion, as the Cosmic Bunny has given us free will. What we do have are best described as guidelines or philosophies for living a good life as a Bunny or Fuzzy (or member of any other religion, for that matter) and for advancing our spiritual natures. Many practices from Asian Rabbits have found their way to the West and you will find Bunny Chakra work and a strong emphasis on meditation in most modern groups. 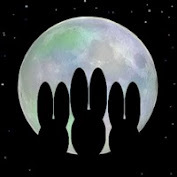 The Church of the Cosmic Bunny also suggests meditation as one of the best ways to awaken your Inner Bunny (which you can read more about on this site). We are not an elitist or exclusive system. 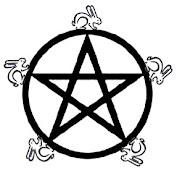 We encourage you to incorporate the Way of the Bunny into other religious practice as it suits you. Definitions and further explanations of terms can be found in the Glossary. See the FAQ, Doctrine and Guide to Healthy Bunnyliving sections for further information. I've been wondering what place combativeness between bunnies has in this scheme of things. It would seem that fighting to defend territory, esp. among house rabbits, is in direct conflict with the precepts of "Inner Bunniness." I realize that earthbound bunnies are not the same as the Cosmic Bunny, but still...? Being physical creatures who've had to fight for survival for so long, certain aggressive instincts occasionally do rise to the surface, even in Bunnies. It's mostly hormones, they say. You remember how it was being a teenager, right? Sometimes hormones just 'make' you do things. They all love each other and recognize their universal Bunnyness, but sometimes find it hard to control themselves. It's like with humans. Even in a close, loving relationship sometimes you just want to wring the other's neck. Even Bunnies have to work to LIVE their Inner Bunnies 24/7. It's just a consequence of spending so much time on the Earth plane.